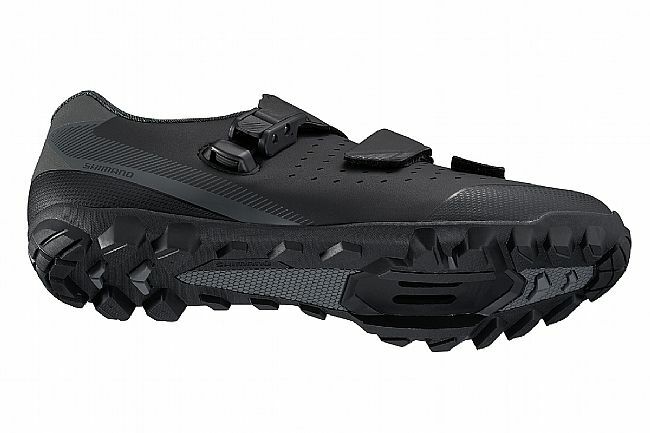 The Shimano ME301 MTB Shoe is a versatile off-road shoe designed to perform on or off the bike. With a high-density synthetic leather upper with perforations throughout, the ME301 delivers an improved fit and superior breathability. 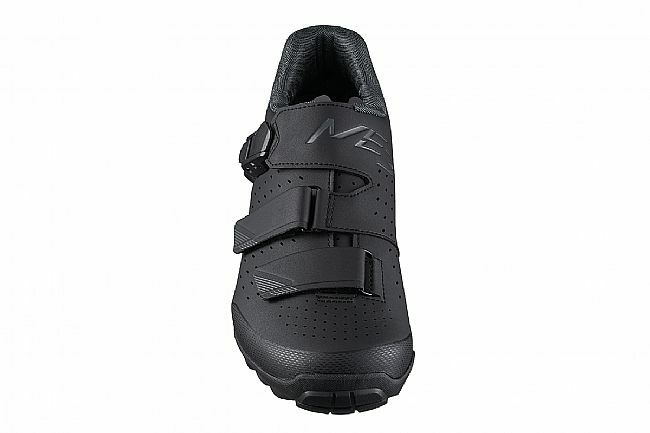 You can dial in your fit for max comfort with the off-set strap and super low profile, reverse buckle, which secures your foot in place for maximum pedaling efficiency. The Glass fiber reinforced midsole also improves your power transfer during pedaling, yet remains flexible enough for off-the-bike performance as well. The rubberized lightweight outsole provides durable, versatile grip and traction in all conditions. 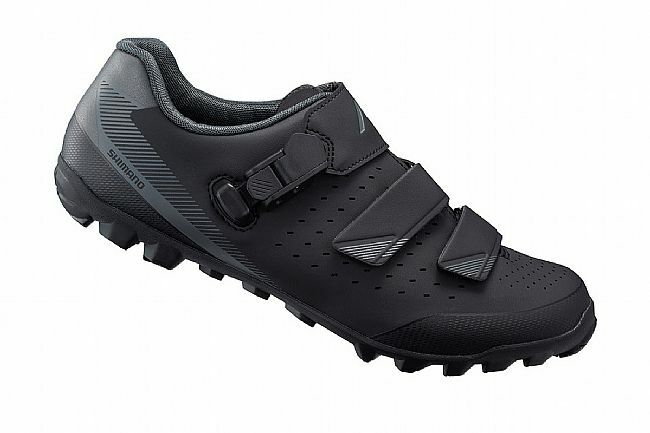 The Shimano ME301 MTB Shoe are designed for use with 2-bolt cleats and step-in mountain bike pedals. Super low-profile, reverse buckle securely holds foot. Off-set strap relieves tension at highest point of the foot. Glass fiber reinforced midsole for power transfer.